Are you planning to attend a job fair? Have you gone to one, but didn’t feel prepared? Navigating the waters of a career fair can be overwhelming, but it doesn’t have to be. As a general rule, companies won’t participate in a job fair unless they have jobs to offer. With few exceptions, companies typically can’t afford to waste their time, money, and resources if they don’t expect to gain valuable candidates to fill current or future positions. So, be sure you are prepared for the event, as you never know what important connections you might make. To help you prepare for your next job fair, we’ve collected a list of six things you should bring with you. If possible, make a list of companies that will attend the job fair. If you can’t find this information on the event flier or other pieces of communication, give the coordinator of the event a call. Once you have that list, start researching. Visit the websites of all participating companies, read their press releases, and understand their mission statements. When you arrive at the job fair, you’ll not only have a better understanding of the companies you meet, but you’ll also have working knowledge of what they do. This can help you stand out amongst the crowd of jobseekers and impress potential employers. Do you have a short, 30-second pitch that sums up your skills and experience? If not, get started today. Just like you would with a product or service, you need to develop a way to sell yourself to potential employers. Think about what sets you apart from the pack, and focus on your education, experience, and unique skills. Keep your overall objective in mind when writing your elevator pitch, too. For example, if you’re seeking work that will allow you to use your engineering education in a nonprofit organization, say so. And, remember to practice your pitch with a friend or family member before you head to the fair. This one may seem obvious, but don’t let it fall through the cracks. You need to have plenty of copies of your resume, which should be updated, proofread, and error-free. Remember to bring tailored resumes if you plan to explore jobs in more than one field. For example, if you are interested in both accounting and education, bring resumes that best represent your skills and experience in each. You can also bring business cards, if applicable, to hand out to recruiters. If your career is one that might require a portfolio, feel free to bring it with you. A portfolio showcases your work in a certain area or field, and it can be a great way to get your foot in the door with a potential company. But remember to wait for the appropriate time to show off your portfolio. Instead of forcing it upon a company, wait for a break or official request to introduce it. Show up to career fairs as though you’re going to an interview. This is the recruiter’s first impression of you, so make it a good one. No matter if you’re applying for a professional job or light industrial position, always wear business attire. This may help you stand out in the crowd, and is a sure-fire way to up your professional game. Think about it—you wouldn’t want to meet a potential employer in your pajamas or athletic attire, right? 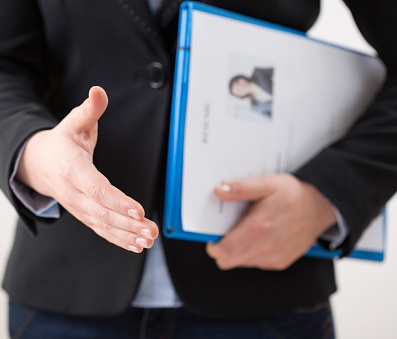 When you go to a job fair, you may end up meeting your next boss. So, be sure you’re dressed for the success they expect from you. There may be hundreds of employers at any given job fair so it’s important to take notes. When you speak with a company, they may provide you with the name of a recruiter or hiring manager. They may even set up a time for an interview, or a phone number for following up. And it’s also a good idea to make reminders of who you talked to, what they were wearing, and your thoughts. This will help you remember those you met when you get back home. If you don’t have a way to keep track of that information, you may throw away your chance of getting the job. Make sure you keep track of all resources you take home from the fair, and don’t forget who you need to follow-up with after the event. Good luck at your next career fair! Remember, of all the things you should bring with you, your positive attitude and confidence are some of the most important. What are your go-to job fair tips? Share with us in the comments section below! Next Post T.E.A.M. What Does It Really Mean?